The classic diner chair originated in America in the 1940s when old train cars were used as diners. Today many people are unaware of its history but enjoy the chair as it adds a fun style to their decor. 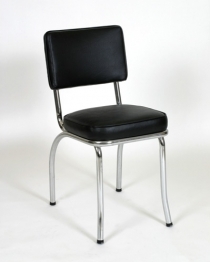 The classic diner chair is a staple in restaurants and bars across America due to its strong tubular steel frame and slim profile.